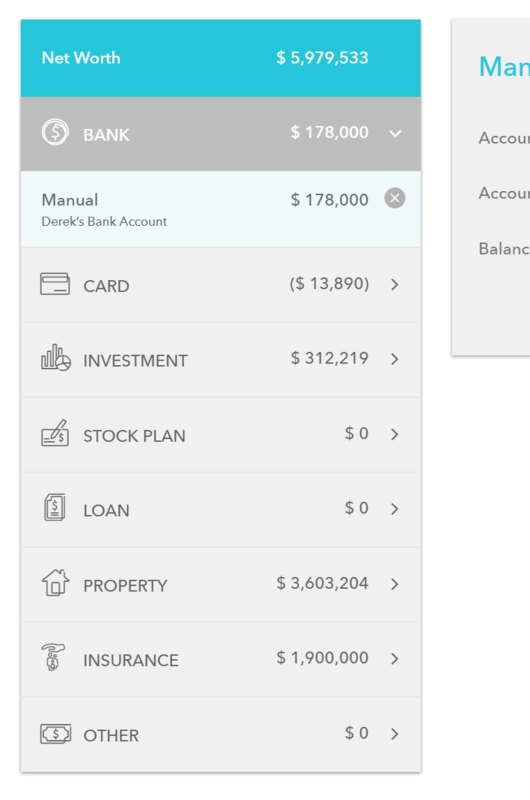 After a client has been added to RightCapital, the advisor can review, add, or delete elements of the client's profile. Clients with access to their Client Portal may also add additional financial information as well. To access the client's profile, select the client's name from the client list in the advisor portal > ↗️ Open Client > Profile. The default displays Net Worth. Notice this pattern of tabs reflects the initial client set up process, albeit in a slightly different order: (4) net worth, (6) goals, (2) income, (3) savings, (5) expenses, (1) family. 👉 The data displayed in the Client Profile reflect the total information used in the client's Plan. Modify, add, or remove any data to reflect an accurate client Plan. To change assumptions, methodology, or other data applications on a client-by-client basis, see client settings. To adjust global settings, change system-wide client presets. To understand how to add data, refer to the initial set up articles. Why can't I delete some items? A few data points are assumed: primary home and group life insurance among them. These cannot be deleted from a client profile. To remove their impact on the client's Plan, set relevant values to zero.